The greatest criminal defense lawyer. 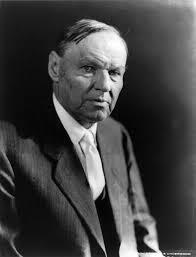 Clarence Darrow is widely considered the best criminal defense lawyer of his time…maybe of all time. He is known as a wildly tenacious criminal attorney who used his intelligence and creative cross-examination to destroy prosecution witnesses. Mr. Darrow had the ability to be a fire-breathing dragon at one moment and a silver-tongued devil in the next. His most famous cases were the “Scopes Monkey Trial,” “Ossian Sweet” (a Detroit murder trial), the “Massie Trial,” and the “Leopold and Loeb” case. If you would like a free consultation with a highly experienced, compassionate and tenacious criminal lawyer who has a track record of successfully representing clients throughout Michigan, please call LEWIS & DICKSTEIN, P.L.L.C. at (248) 263-6800 or fill out a Request for Assistance Form and we will promptly contact you. Loren M. Dickstein and Randy M. Lewis, the senior counsel with LEWIS & DICKSTEIN, P.L.L.C., have been handling retained felony and misdemeanor cases in Michigan for decades. They have the ability to be voraciously aggressive when appropriate and, when needed, eloquent, persuasive negotiators. Whether the client is best served by a jury trial or a plea bargain, Loren and Randy have the ability and aptitude to take a case in whatever direction will achieve the best possible results for the client. Most importantly…they are not afraid to win!